Paladox added a comment to T4241: Help!!! Wiki site overtaken? . @Internet_Governance_Forum_Germany could you try again please, i think i fixed your perms. Paladox updated subscribers of T4241: Help!!! Wiki site overtaken? . Internet_Governance_Forum_Germany added a comment to T4241: Help!!! Wiki site overtaken? . by now all pages of the wiki are restricted and I cannot see what is happening. I am assuming that this is a malicious attack and request to block all users. Please, help us. We are in the middle of a collaborative event process and now the outside world cannot reach and check. Hi, thanks for notifying us. We are looking into this. Internet_Governance_Forum_Germany created T4241: Help!!! Wiki site overtaken? . Paladox added a comment to T4208: Custom domain issue. Well, the user cannot add wiki.abc.com (if they don't own the domain) we verify this by generate a ssl cert before linking a wiki. If you doin't own the domain then the cert generation will fail because the domain will be pointing at the one nameservers where the cname is. Redsoda created T4208: Custom domain issue. Eduaddad triaged T4090: error in my account as Normal priority. Void added a comment to T4064: Abuse filter rangeblocks reveal user information. Regardless, we've disabled the feature in https://git.io/fhyHl. John closed T4064: Abuse filter rangeblocks reveal user information as Invalid. John added a comment to T4064: Abuse filter rangeblocks reveal user information. But we do this? User + range blocking. Though /16s are WAY too large to block automatically. Paladox added a comment to T4064: Abuse filter rangeblocks reveal user information. Void created T4064: Abuse filter rangeblocks reveal user information. John changed the edit policy for T4046: Social Profile allows admins to change other user's email addresses. John closed T4046: Social Profile allows admins to change other user's email addresses as Resolved. Paladox added a comment to T4046: Social Profile allows admins to change other user's email addresses. Southparkfan added a comment to T4046: Social Profile allows admins to change other user's email addresses. This seems done, time to make this task public? Notices have been put on Meta, Facebook and Twitter. Emails have been sent out as necessary. Paladox updated subscribers of T4046: Social Profile allows admins to change other user's email addresses. Paladox added a watcher for Security: Paladox. Paladox added a member for Security: labster. Also the dutch authorities will have to be told too. The issue has been identified and fixed and a list of affected wikis has been generated by @Paladox. Void added a comment to T4046: Social Profile allows admins to change other user's email addresses. If it helps, I discovered this by accidentally stripping the email from two or three spambot accounts on allthetropeswiki. Southparkfan removed a project from T4046: Social Profile allows admins to change other user's email addresses: Amanda Catherine. Southparkfan changed the visibility for T4046: Social Profile allows admins to change other user's email addresses. Southparkfan raised the priority of T4046: Social Profile allows admins to change other user's email addresses from High to Unbreak Now!. Confirmed so far: this right was assigned to the 'sysop' group on all wikis with this extension enabled (as of this moment 86 wikis) since February 8, 2017. John added a comment to T4046: Social Profile allows admins to change other user's email addresses. You’d have to make a maint script to do and it’s easier to make a maintenance script loop all groups then modify a single purpose function to do the job. As a followup to this task, we're thinking of modifying modifyGroupPermission.php so that it can remove a permission from all groups that contain it. This would make it easier to strip the right, as currently there are still wikis that have it. Hence https://git.io/fhwOy was done as a temporary measure. Void assigned T4046: Social Profile allows admins to change other user's email addresses to Paladox. Void created T4046: Social Profile allows admins to change other user's email addresses. MacFan4000 updated subscribers of T4005: Execute external commands on MediaWiki servers inside sandboxes. Southparkfan added a subtask for T4005: Execute external commands on MediaWiki servers inside sandboxes: T4004: Replace exec statements with Shell::command (MediaWiki's Shell Framework). Southparkfan triaged T4005: Execute external commands on MediaWiki servers inside sandboxes as Normal priority. Paladox closed T3955: Extension:Maps refuses to load map tiles because of Content Security Policy directive as Resolved by committing Unknown Object (Diffusion Commit). Oxocero created T3955: Extension:Maps refuses to load map tiles because of Content Security Policy directive. ZelDelet created T3905: We had a small attack of vandalism. MacFan4000 merged task T3888: Section headers are broken on all wikis (Mobile Version) into T3751: Page renders strangely on Mobile View. Ahmsaqib created T3888: Section headers are broken on all wikis (Mobile Version). Paladox closed T3862: Increase minimum length passwords from 1 to at least 6? as Resolved. MacFan4000 claimed T3862: Increase minimum length passwords from 1 to at least 6?. 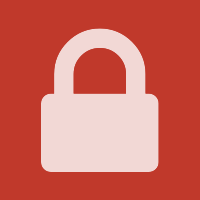 Paladox changed the edit policy for T3862: Increase minimum length passwords from 1 to at least 6?. Herald added a project to T3862: Increase minimum length passwords from 1 to at least 6? : MacFan4000. Paladox created T3862: Increase minimum length passwords from 1 to at least 6?. Paladox added a comment to T3739: Permissions settings do not longer seem to be effective. Hi, you probaly want to change https://christipedia.miraheze.org/wiki/Speciaal:ManageWikiPermissions/* since User only affects logged in users where as * affects annons. Reception123 updated subscribers of T3739: Permissions settings do not longer seem to be effective. Kees_Langeveld created T3739: Permissions settings do not longer seem to be effective. Paladox closed T3712: logo karmel.miraheze as Resolved. Paladox added a comment to T3712: logo karmel.miraheze. Penarc1 added a comment to T3712: logo karmel.miraheze.